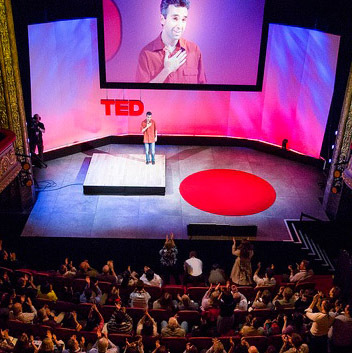 In 2012 I was awarded a TED Fellowship. I traveled to Edinburgh, Scotland to give my first TED Talk on the Fellows stage of the TED Global conference. Over the past four years I’ve giving numerous talks at TEDx events all over the world and have met some of the most thoughtful and inspirational people I now call friends. Talks aren’t easy. The unique combination of personal narrative, simple explanation, persuasion, and the unveiling of “Aha!” moments, as outlined in Chris Anderson’s most recent book, is potent, but difficult to unearth. Some talks take a few chances to get right. Others take a lot of rehearsal time and land beautifully the first time out. Many never have the impact the speaker hoped for. I say all that to say that I’m embarking on the process yet again. Unlike my previous talks, this one is tied to something I’ve been thinking about for a long time, and is very personal. Since April of this year, I’ve been working from the offices at TED HQ in New York City as part of the TED Residency. My work at the residency has centered around the Tap Legacy™ Foundation and its Digital Archive. 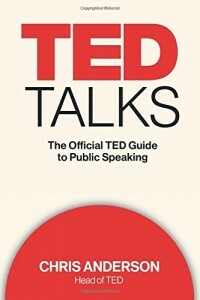 As part of the residency I am tasked with preparing a TED Talk – personal, understandable, persuasive, and revelatory. In my preparation, I’ve had to confront myself with questions about what I really care about, why I care, why I dance, and why I think the work I’m currently engaged in is so important (hint: it’s not just about tap dance). The journey has been at times emotional, frustrating, and eye-opening. As the day for presenting the talk draws near, I’m excited about what I’m discovering and look forward to sharing it with you. I will be giving that talk on July 12th. Sorry the event isn’t open to the public nor live-streamed, but I will announce it here when the talk goes live. Thanks for your continued support of the work I do. It means the world.